Thursday 12 December is the last day of the Parliamentary term for 2013. 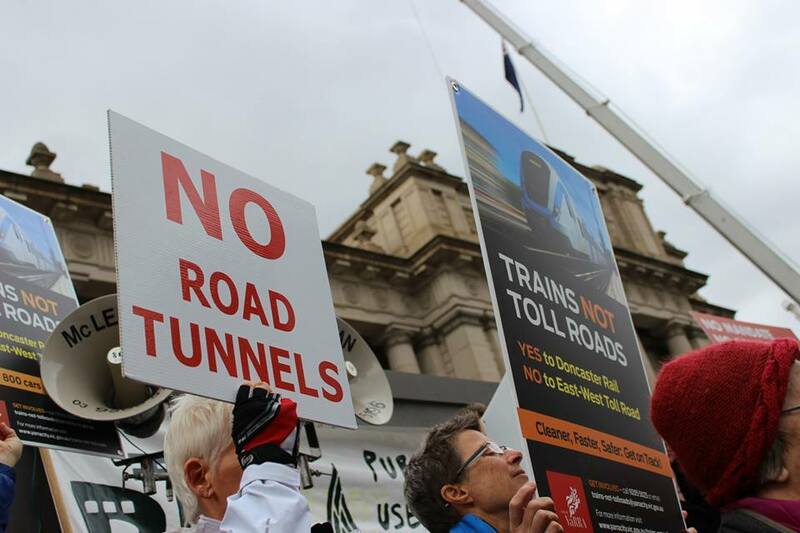 Protectors of Public Lands Victoria Inc. (PPL VIC), supported by the Yarra Campaign for Action on Transport (YCAT), has decided to call a snap protest on the East West Link Toll Road. PPL VIC points out that extraordinary numbers of community groups plus Melbourne Councils particularly Yarra, Moonee Valley and Moreland have been engaged in campaigns (protests, pickets, demonstrations and forums/information sessions) opposing the East West Link and promoting public transport. Given the target is the State Government it seems fitting that community groups have some kind of finale for the year. This is why a snap protest has been called for 12 noon on Thursday 12 December 2013 (the 12 th hour of the 12 th day of the 12 th month) on the steps of Parliament. The snap protest will start by 12:15 pm and have an open mike so groups can announce who they are and further actions. Members of Parliament in the Upper House will not be able to speak until 1 pm as that is when Parliament breaks for lunch. As it is the closing date for the submissions on the Comprehensive Impact Statement on the East West Link PPL VIC will have forms there for people to fill in. They can then be dropped in at Planning Panels Victoria down the road at 1 Spring Street. All are welcome to attend.